If you think about modern connected health devices that track health data and report it directly back to a mobile smartphone, and the companies involved in that space, then the chances are that Withings instantly pops into your head. 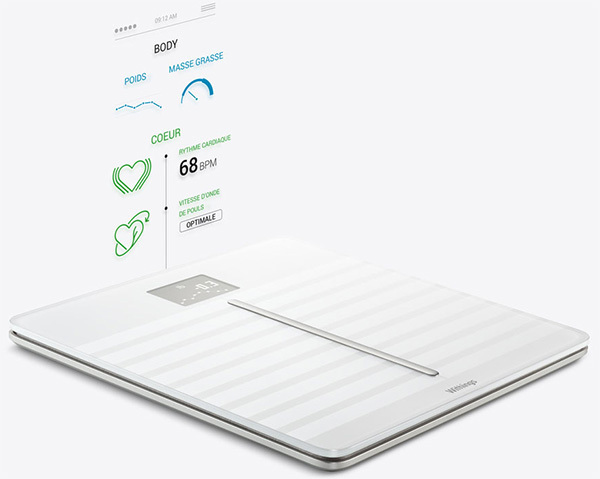 As part of its continued efforts to boost its product portfolio and stay relevant in the connected health space, the company has now officially introduced its latest product; the Body Cardio scale that has the ability to give owners an overview of their cardiac health. 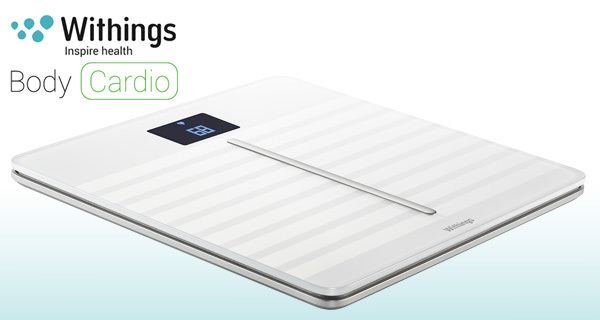 Withings was always keen to try and push boundaries and do things that other companies hadn’t done when it released its first set of connected scales into the market. Things have obviously progressed a little since then in the market, with companies of this nature now looking for the next big thing or next innovative piece of technology to integrate into a new product to appeal to users. The party piece of the Body Cardio scale comes from its utilization of Pulse Wave Velocity technology, which essentially measures the speed at which an arterial pulse travels through a human’s body. Withings claims its product is the first of its type to use this method of measurement. In addition to actually functioning as a standard set of scales which collates measurements and reports back to a connected app, the Body Cardio scale can also detect arterial stiffness that has potentially gone unnoticed and caused by things like elevated blood pressure or high cholesterol. PWV analyses are traditionally conducted in clinical environments and generally reserved for those diagnosed with high blood pressure or other chronic diseases. For the first time, Body Cardio brings this capability to the home scale, computing PWV based on the user’s age and time it takes for blood to flow from the aorta in the heart to the vessels in the feet. Body Cardio, along with its app, Health Mate, provides the user with the evolution of its PWV (m/s) over time and with an indication of whether their PWV is normal, optimal or at risk. Being a scale, it is able to accomplish slightly simpler tasks as well such as body mass index, body composition, standing heart rate and more. More so as is obvious enough, it connects via the Health Mate app on your smartphone. The Body Cardio hardware looks pretty much like you’d expect a set of scales to look like. It measures in at just 0.7 inches, and comes with a flat base and heat-tempered glass to ensure that the product lasts for as long as possible. Interested consumers can purchase the new product right now for $179.95 in Black, and White shades, directly from the Withings website or from the retail Apple Stores. Because Withings are OBVIOUSLY Apple. So it makes LOGICAL SENSE to direct your hatred of this product at Apple. OBVIOUSLY. Sachin, whenever I think your stupidity can’t get any greater, you continue to exceed my expectations.